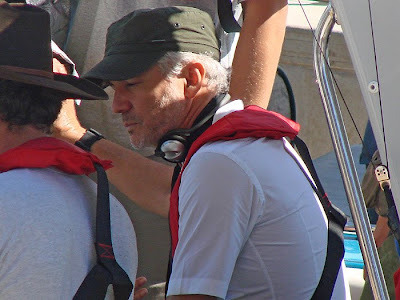 Baz Luhrmann may not be a household name. Give it a second though to explain a little who the man is and anyone who has seen his films has an opinion on him and his intense sense of style. He incites more polarized reactions from film fanatics than most of his contemporaries and even his detractors will accord him the title of auteur. After all, what should incite that title other than a unique way of seeing things and a distinct way of getting those things across? 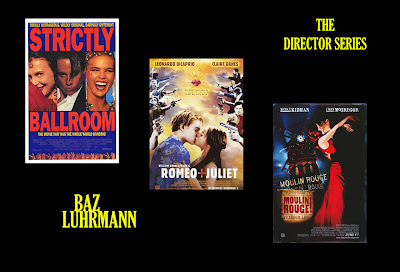 In 1992, Luhrmann gave the world his first feature, STRICTLY BALLROOM. It cost barely anything to make and it grabbed the world by the waist and spun it around the dance floor so many times that it left the world in a dizzy haze. Sixteen years later, Luhrmann is one of the big boys, making movies that cost well over $100 million to produce. On the eve of his latest and first film in seven years, AUSTRALIA, Black Sheep Reviews takes a moment to catch its breath and take a look back at Luhrmann’s first three films that, when grouped together, are otherwise known as the Red Curtain Trilogy. STRICTLY BALLROOM opens the Red Curtain Trilogy by literally opening with a red curtain. The curtain is pulled and we open on a near-full silhouette of two competitive dance couples. The men in black tuxedos stand tall and strong while the women in colorful ruffles bring fluidity to their opposing stiffness. The whole image is framed behind French doors and it is clear within the first few frames that Luhrmann is man with flare, style and both an eye and an appreciation for beauty. One of the men behind the door is Scott Hastings (Paul Mercurio), a young dancer who has worked his whole life to take home the Pan-Pacific trophy for Best Ballroom Dancer. Everything in his life and everyone that surrounds him has played a part in making this happen but Scott has come to an untimely realization. In order to wine the Pan-Pacific competition, he must dance the ballroom steps as strictly as they are meant to be but his feet can no longer adhere to such rigid expectations. They have a rhythm all their own and they can no longer stand still. And with this, Luhrmann lets us see the side of him that will guide us through the rest of this trilogy. Love, above all else, be that the love of another person or the love that lives inside of you that inspires the passion you must pursue, is the only thing in life that matters. 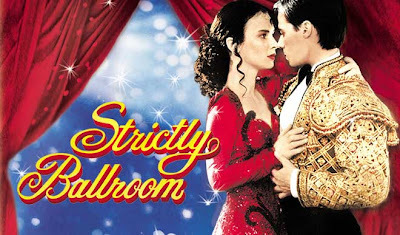 STRICTLY BALLROOM earned Luhrmann countless year-end accolades, including a Golden Globe nomination for Best Musical/Comedy (which it lost to MRS. DOUBTFIRE). Of course, this opened many a backstage door for Luhrmann and before long, his next project was announced. What does a man who values love above all else tackle as the second part in his homage to one of life’s greatest mysteries? Simple; he decided to tell the greatest love story ever told, WILLIAM SHAKESPEARE’S ROMEO + JULIET. Only Luhrmann can’t do simple. His take on the bard would be decidedly modern, moving the classic from fair Verona to Verona Beach in Southern California. The tale would be told in present day; swords would be traded for guns and kinsmen would become posses. And just when it seemed that Luhrmann could not disparage this masterpiece any further, he cast the young teen idols, Leonardo DiCaprio and Claire Danes in the title roles. It could have been a huge disaster but it ends up being one of the most effective Shakespearean adaptations in recent history. Luhrmann’s insightful understanding of the brilliant source material pours out of his beautiful leads and allows for Shakespeare to be not only enjoyed but understood by the adolescent market. 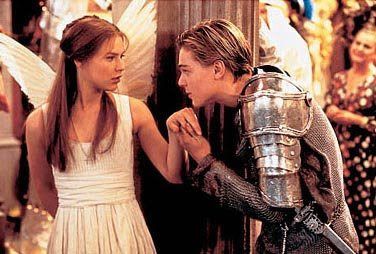 By successfully recontextualizing ROMEO + JULIET from the stage to the streets, Luhrmann reminded audiences why Shakespeare is timeless. It’s also innately and achingly romantic but that goes without saying when Luhrmann is involved. 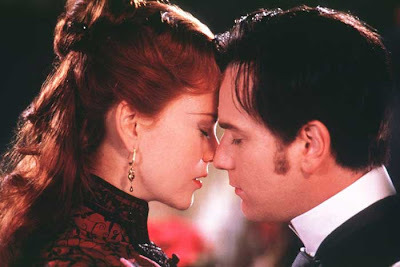 The curtain returns for one last time with 2001’s Best Picture nominee, MOULIN ROUGE! This time, a musical conductor stands in front of it guides an orchestra through an overture that ushers in one of the most original musicals in history. It is Paris at the turn of the 20th century. The Moulin Rouge is more than just a name, it is a place where men and women find company in strangers’ arms and empty their pockets before they turn for home. It is home to extravagance, elegance and decadence. It is all so lavish and dramatic; it all so quintessentially Baz Luhrmann. While the film is certainly boisterous enough on its own, it comes alive all over again the moment Ewan McGregor opens his mouth to sing. Though he is singing the Elton John’s “Your Song” or the title track from “The Sound of Music”, it is as through the words that are coming out of his mouth have never been said before or never had this particular meaning and depth. Reappropriating modern lyrics we’ve all heard before grounds them tonally as though they are connected thoughts and not just catchy tunes. Ever the romantic, McGregor makes the error of falling in love with a courtesan (Nicole Kidman) and she in turn makes the mistake of falling for McGregor’s penniless writer. When love calls though, you cannot fight against its choices no matter how certain you are that it is wrong. MOULIN ROUGE! epitomizes the values that were introduced in the two previous installments of this trilogy – beauty, freedom, truth and love. These are the true bohemian ideals and Luhrmann is the modern day king of the true bohemians. When we go for a show, we sit, we wait and we stare at the red curtain before it opens to show us all its secrets. Lurhmann grew up behind that curtain, having been raised by parents heavily involved in the arts and now he has also grown up as a director in the same place with these three films. It is as though his unique view were born by realizing that following your passion is the only path to happiness; that this passion went through a young and rebellious stage; and that it eventually settled in to its true nature and accepted all of its own transformative power. Lurhmann is an artist’s artist. He gave us dance, theatre and music and he did it all the way that only he could. And when the curtain closes, the audience is left with only one thing – love. It’s been a little while since I popped in but had to read your Baz Red Curtain write up. I am one of the biggest Baz fans alive and actually had the privelege of some work on R&J. Minimal but great none the less. One of the nicest, peaceful director/visonaries you could ever meet. Meetings in shorts, t-shirts and thongs tell a lot about someone. But being in Australia the film started this week and I have written a review on my site. The link is: http://www.saltypopcorn.com/australia-16/ and I will link your Baz article onto my Australia review. If you read the comments you will see it is very black and white with Baz in Australia – you either love him or you hate him.